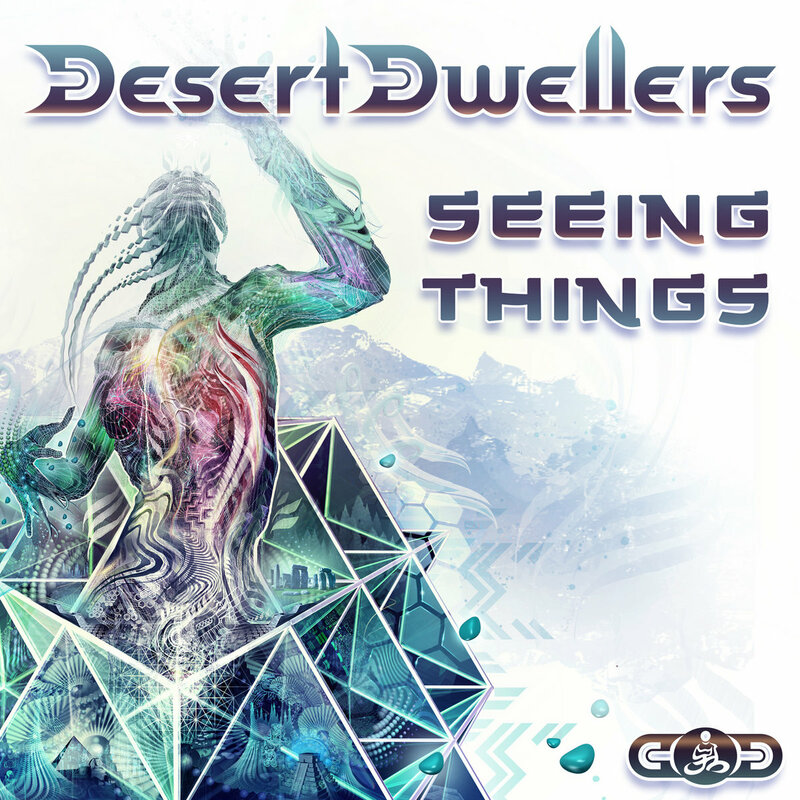 With this latest release, the Desert Dwellers have teamed up with a highly dynamic and acclaimed group of international producers to remix one of their most cherished tracks "Seeing Things." The result is an immpressive offering of futuristic dubby beats, filled with deep pulsating bass & inextricable, extraterrestrial emissions. Hallucinatory realms await the listener, as one will soon be seeing things completely new through these transportive soundscapes produced by huge international acts like Eat Static, James Monro, Kaminanda, Lubdub, Landswitcher, Variant Field, and Mystral. First up, the original version of “Seeing Things” invites us aboard a multidimensional plane of evocative psychedelic electronica. 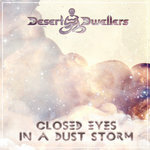 Desert Dwellers are experts at navigating inner worlds of sound, and with this composition they have availed themselves fully to the nature of their genre-bending production skills which they are highly acclaimed for. 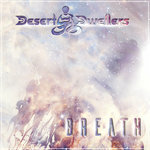 Listen attentively, and hear an arsenal of unique sound design, as Desert Dwellers tactfully blend Dub into Breakbeat entangled with Glitch, and a mysterious uproar of psychedelic squelches and spatial vocals that coincide flawlessly. 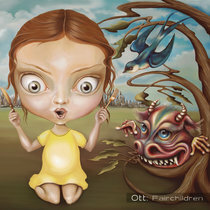 Coming in at a whopping 10 minutes is the first remix of "Seeing Things," by the alien automaton Eat Static. Merv Pepler, drummer from the legendary progressive psychedelic rock band Ozric Tentacles, is the entity behind the groundbreaking electronic sounds of Eat Static. His intuition for channeling the most bizarre is undeniable, and what he transforms this track into can only be described as genius. 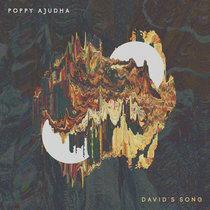 His remix boasts very unique instrumentation, and is explosive and undoubtedly the most eccentric one on the release. Instilling wonder from Down Under, Lubdub's keen production value and rhythms will take any mate for a whirl, and will have your soul bouncing with a lovely vibrancy. 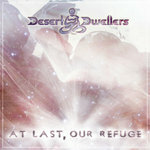 Clocking in at a little over 9 minutes, Desert Dwellers could not have recruited a better group of Aussies to get on board this exceptional remix album. Featuring some very prevalent Drum and Bass, and of course a heaping helping of Dub, Lubdub adds a mighty fine resonance and euphoria that this release will indeed perpetuate, for countless electronic music lovers the world over. 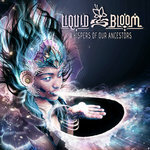 It is only fitting that this compilation features a Psytrance track, considering it’s courtesy of the legendary Twisted Records. 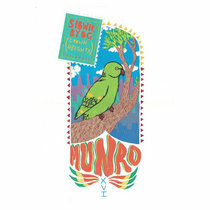 James Monro’s transmutation of “Seeing Things” is a stunning adaptation that showcases the sheer breadth and dexterity of this Flying Rhino Records founding member. James’ exemplary production techniques and supernatural sense of sound combine beautifully, which boosts this track’s electrifying capacity, to the level that of a psychedelic powerhouse! 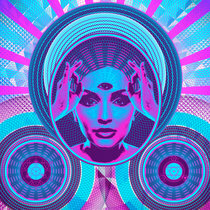 It is his eclectic style that really inundates the listener, as he traverses the vibratory realms of classic Acid House, Progressive and pure, indescribable Psytrance, highly developed throughout a golden age. Hailing from Paris, Land Switcher is quickly becoming a force to be reckoned with on the global circuit, offering a supernatural sense of dynamics in their production. Land Switcher leaves such a refined and delicate balance between the notes. Basking in the distortion of off-kilter time constraints, this song becomes increasingly hypnotic because of this one melody that prevails, which proves to be unequivocally ensnaring. Up next is Kaminanda, an auditory alchemist whom is well-equipped to tackle a composition of this magnitude. It seems that he has an affinity for beautifying beats and always makes sultry sound waves entirely envelop the listener. In this remix he showcases his signature fusion of tribal polyrhythms and the juxtaposition of immersive melodies. He utilizes his favorite FX, spanning trickling arpeggiated synths and echoing reverb that galvanize an overwhelming swell of serotonin. Whatever things Kaminanda saw when he reinvented this tune had to have been sublime. Variant Field has the next recapitulation of "Seeing Things." 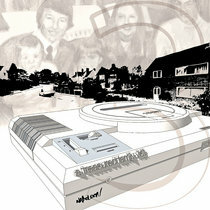 Laser-etching bass protrudes multidimensional sound passages, as this song shatters rhythmic patterns and brings to this release a whole new element. Without sacrificing danceability, Variant Field's attention to space and detail is what highly distinguishes their remix. When listening, it is difficult to not be made aware of every nuance that makes up their collaborative endeavor. Variant Field has an incredibly intricate style of electronica, which is refreshing but still bumps hard on the dance floor. One heavy hitter after another, Mystral spices up the original "Seeing Things," by incorporating a multiethnic charm of psychotropic profusion. 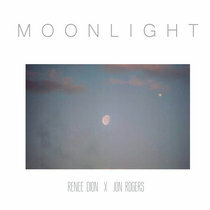 As he rebuilds the vibe of this song, he puts his own spin on the track and it takes on an undecipherable presence. Mystral accentuates the already strange sound structures and complements the fluidity by layering the track with dubbed out horns marinated with Latin Jazz flavors.